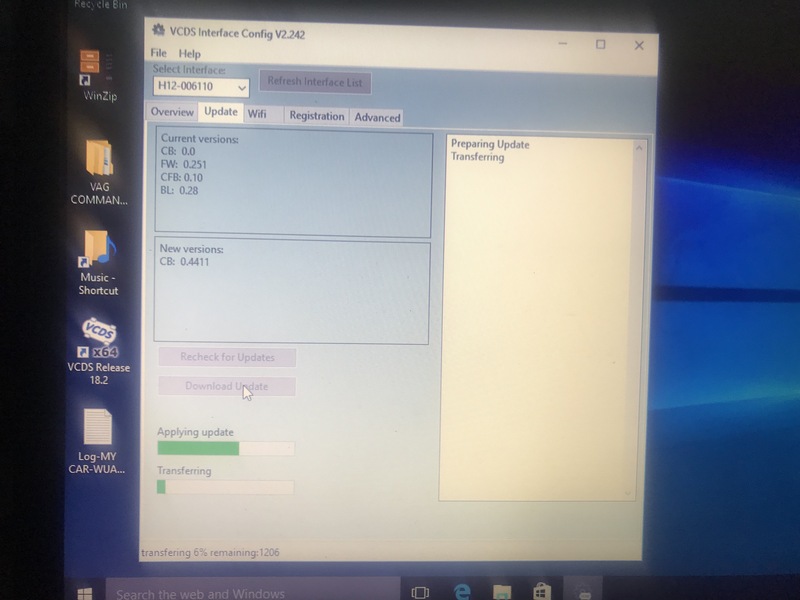 HEX-NET or HEX-V2 Firmware Update Failed? 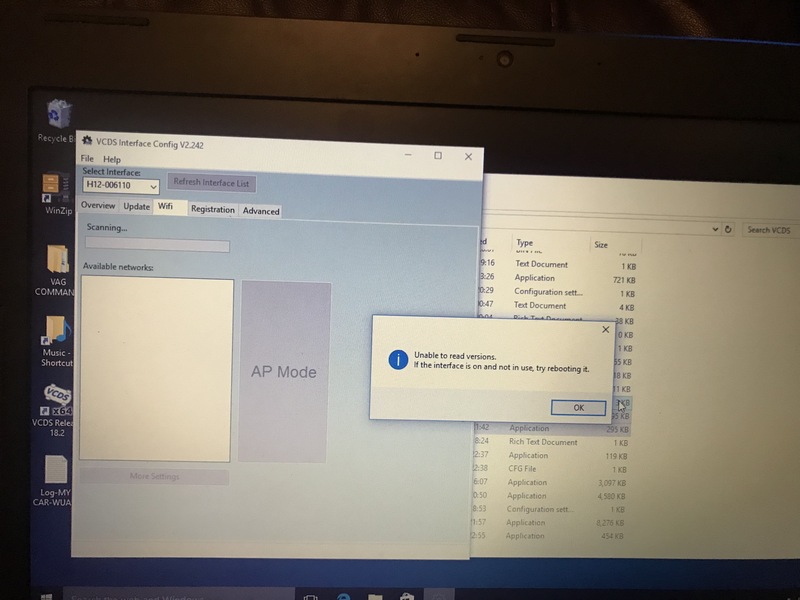 Thread: HEX-NET or HEX-V2 Firmware Update Failed? 2) Find a PC. No, not a Mac running Windows in a VM; we need a machine that runs Windows natively. Beg, borrow, or steal one if necessary. Installing Windows on a Mac using Boot Camp will also work. 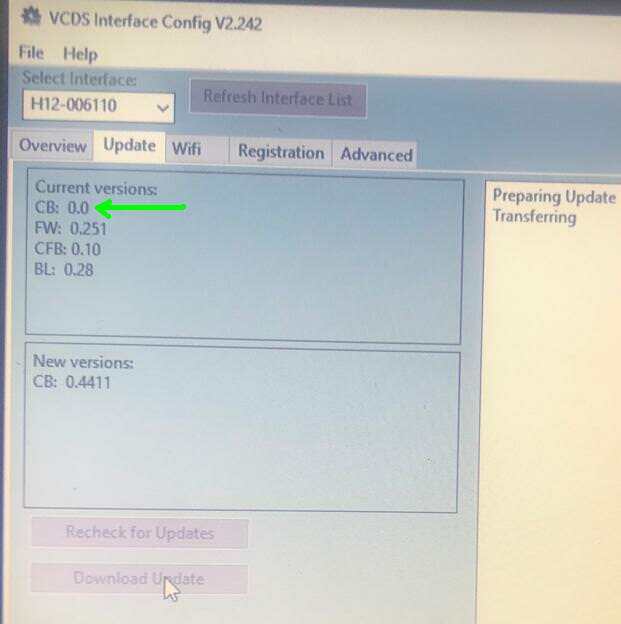 3) Make sure you have a current version of VCDS installed. The current "Release" version is always available for download from this page. 4) Make sure that the PC has internet access and that Windows Firewall isn't blocking our software's access to our server via TCP port 11,000. 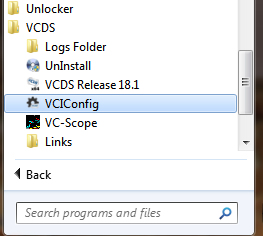 The current version of the VCDS Installer takes care of that for you if you don't un-check the relevant option. Note: Some routers can also be overly agressive about blocking outbound traffic. This is rare with "home" routers, but somewhat more common with those installed in corporate environments. 5) Plug your interface into a USB port on the computer. 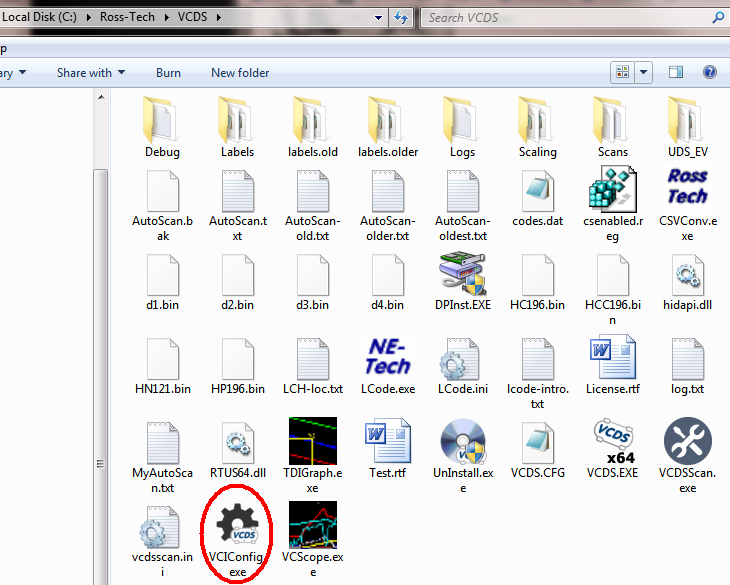 VCIConfig should find the interface and show you its serial number. If it doesn't, unplug the interface and try a different USB port (assuming the computer has more than one), then click [Refresh Interface List]. ... just dismiss that message; do not reboot the interface at this time. 7) Click on the Update tab and then click the [Check for Updates] button. If this doesn't get you all fixed up, please post a screen-shot so we can see what's going on in VCIConfig. Last edited by Uwe; 03-08-2018 at 03:50 PM. `USB device not recognised` message. Tried on new cables and 4x computors. All previous usb drivers removed and fresh new instal and still it does not recognise the USB device. WI Fi to Hex-Net connects. On older version can diagnose through Wi Fi. Mind posting a screen-shot of this error message? My one failed today now doesn't read the hex-v2 ARGH any other suggestions ? Last edited by Kam_VAG; 03-03-2018 at 04:38 PM. Nothing left it over night to do its magic and nothing still the same. Reboot the interface. Reboot your computer. Reboot whatever is in between your computer and the internet (router, modem, whatever). I just updated an old interface from 0.4401 to current status, so I'm confident everything on our end is working. I have formatted my hard drive re installed windows. Once its installed i will download latest version of VCDS. Anything else i can do apart from what i wrote above ? CB: 0.0 Is that a problem? Since VCIConfig sees the interface (as evidenced by the serial number), I am confident this is recoverable. The real question is, where is is the blockage? Formatting your HD and re-installing Windows is rather more drastic than I would have done. Last edited by Uwe; 03-05-2018 at 11:07 AM.